Dar Roumana Client Comments, Reviews and Testimonials. 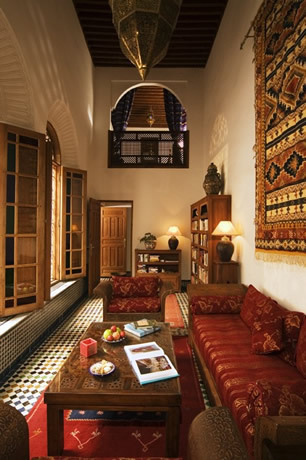 Book Dar Roumana Today with Hip Morocco - Holiday Accommodation in Fez, Morocco. 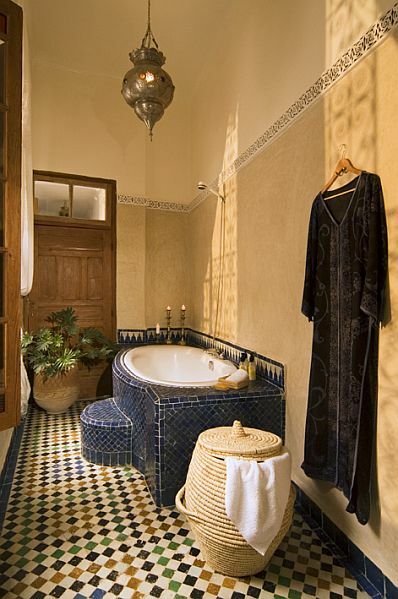 "The ideal place to experience the tranquility and sensuality of exotic Fes"
Dar Roumana means House of the Pomegranate, and is framed by lush olive groves and the ancient ruins of the medina walls, Dar Roumana invites you to experience the richness and comfort of a traditional Fassi guesthouse. Owned and managed by a professional chef, Dar Roumana offers not only contemporary Moroccan cuisine, but also a series of cooking lessons available exclusively for our guests. 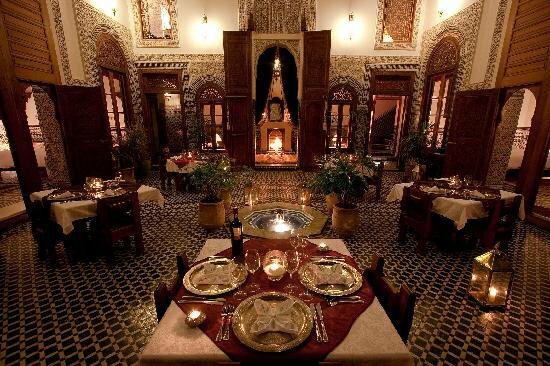 An intimate dining experience in a beautiful setting, dinner at Dar Roumana's restaurant is a must-do for any visitor to Fes. Our talented French chef serves Mediterranean food with a Moroccan twist, and can be described as French/Moroccan 'fusion'. Changing daily, the dishes on the menu reflect the produce that's in season and bought fresh from the markets every day. 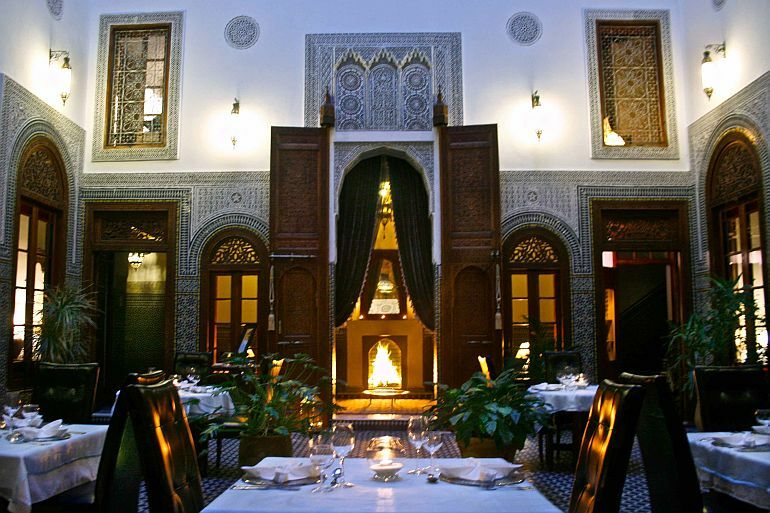 Start with a drink on our roof terrace with spectacular views of the ancient medina of Fes, then dine in our courtyard restaurant. 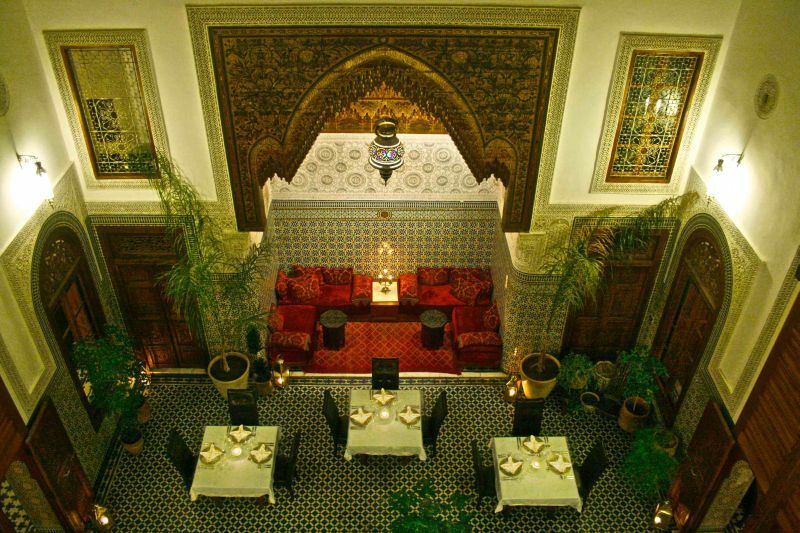 Decorated with colourful zellij tiling, carved cedar wood, a beautiful hand-painted bartal and intricate plaster, the restaurant is breathtakingly beautiful. In the winter, reserve a table for two next to our open fire, and in the summer be cooled by the splashing sound of the central fountain. Adding to the romantic setting is the attentive but discreet service. Allow us to transport you to a world of fine cuisine for the evening. 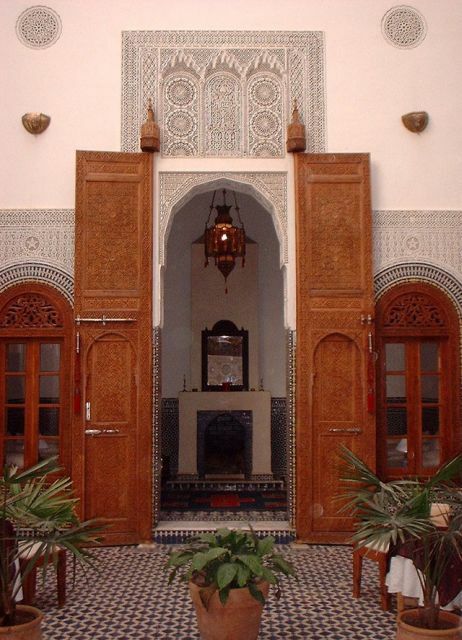 We look forward to welcoming you to Dar Roumana. We work closely with a reliable Fes-based travel company and provide a concierge service to help you arrange day trips, specialist Medina experiences or tours further afield. 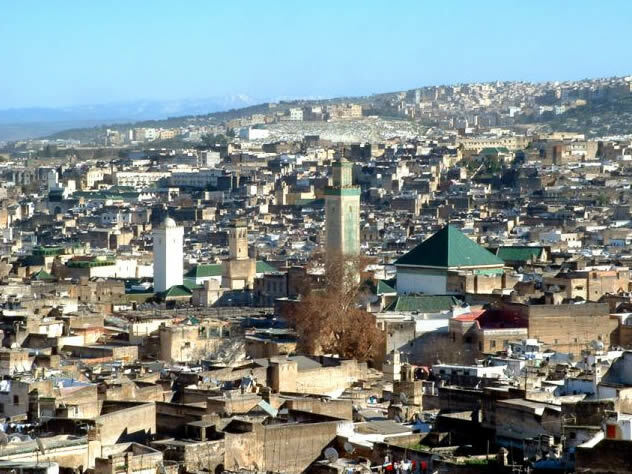 Fes is a wonderful base for exploring the area and is in fact closer by car to the Sahara then Marrakech. "What a great time we had with you in your beautiful house! It's been difficult to put it into words for people back home… we can only urge them to go and stay with you and we definitely want to come back ourselves! 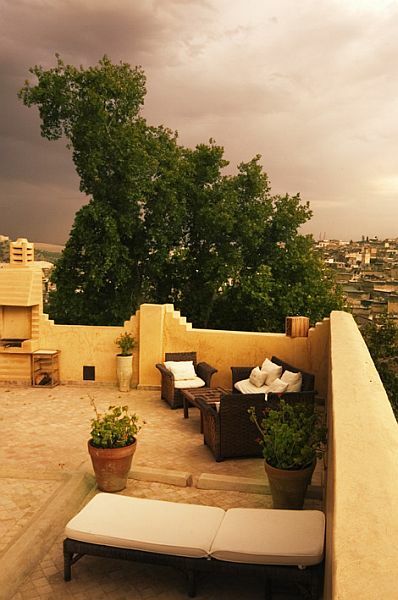 You gave us such a thoughtful insight into Fes that made our stay all the more enjoyable and fruitful." "We just wanted to thank you again for the great stay we had at Dar Roumana. 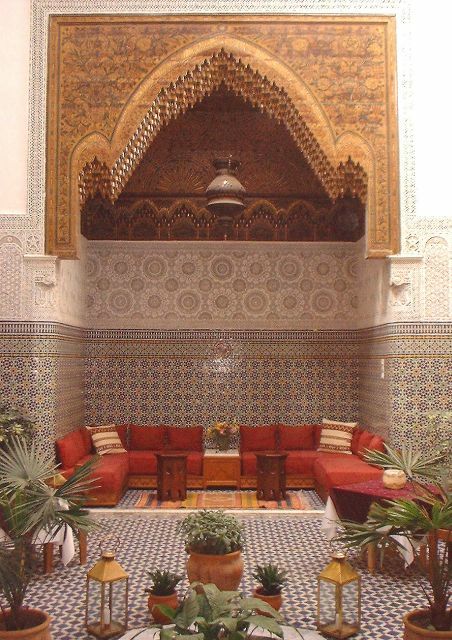 It was absolutely one of the highlights of our time in Morocco and was far and away the most beautiful riad that we stayed in during our trip." "I've been meaning for days to write to you and thank you again for making our time in Fes so completely wonderful! 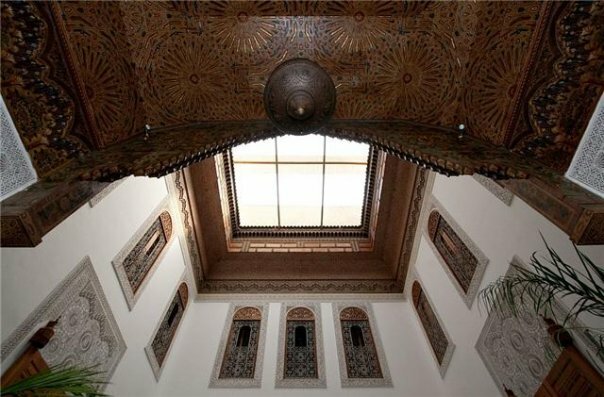 From the pomegranate juice to the bathtub to the hammam to the EXQUISITE meals and meeting your Medina friends and hearing your Spanish guitar, it could NOT have been a nicer stay." "My Mum and I just wanted to say a huge THANK YOU for making our stay in Fes so enjoyable. The riad was absolutely gorgeous and the little touches you have added obviously including Cat & Harvey just made it that much more enjoyable." "We just arrived in Manila yesterday and wanted to drop you a note to thank you for the wonderful experience that we had in Fes at Dar Roumana. It was a totally new experience and we will be highly recommending this to our friends here." 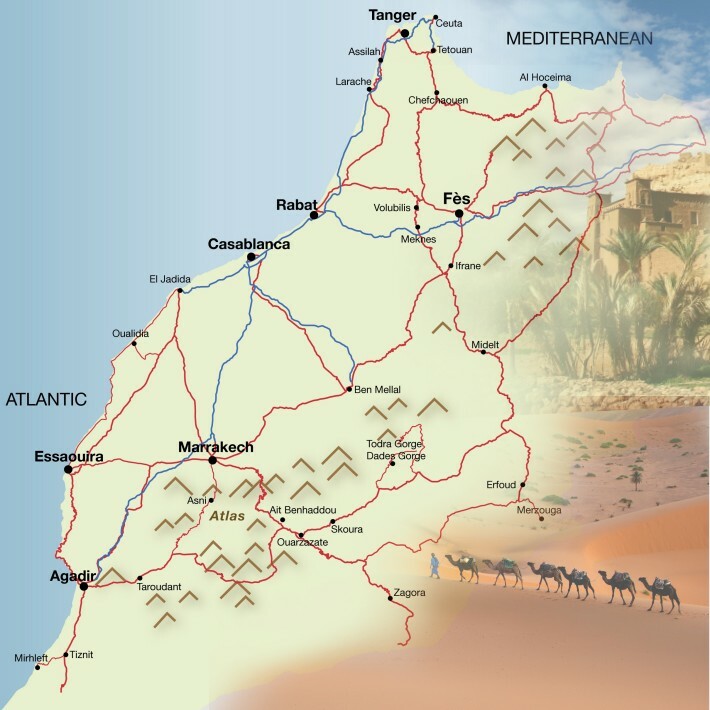 "Our Moroccan odyssey was fabulous, thanks in great part to your gracious hospitality and friendship. 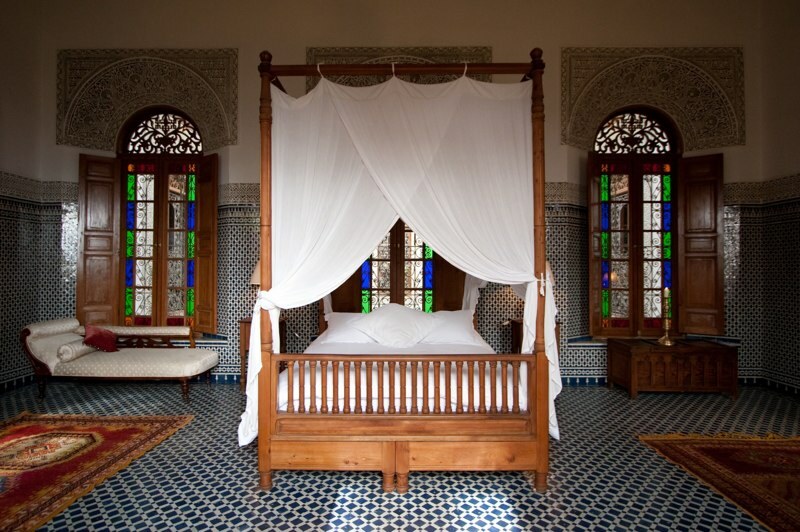 Our stay at beautiful Dar Roumana was truly one of the highlights of our adventure. Your hard work and perseverance has finally brought you to the place where you can now begin to receive all the kudos you deserve for creating a fabulous oasis of tranquility and beauty." 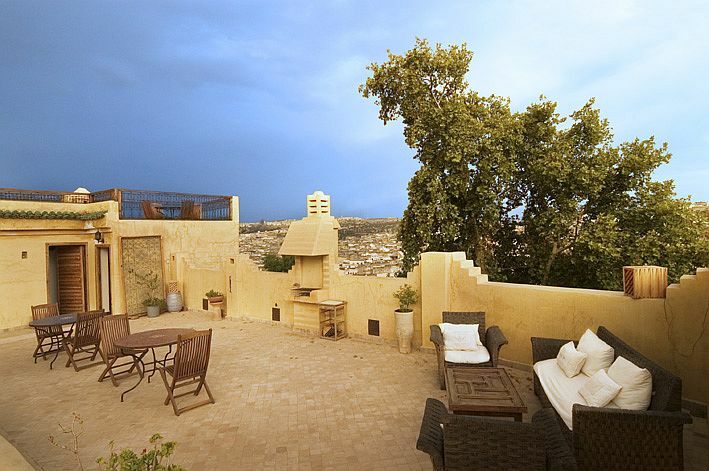 Perched on the hillside just inside the medieval walls and only a five-minute stroll to the shops and cafes, Dar Roumana is the ideal place to experience the tranquility and sensuality of exotic Fes. 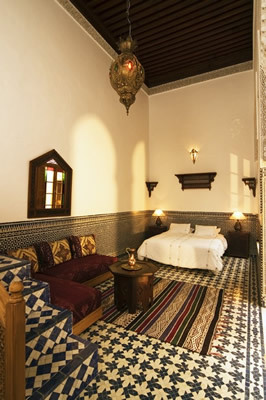 Argana is the smallest, but most private room, air-conditioned with a double bed, and ensuite bathroom with shower only. The bathroom ceiling height is 2 metres. 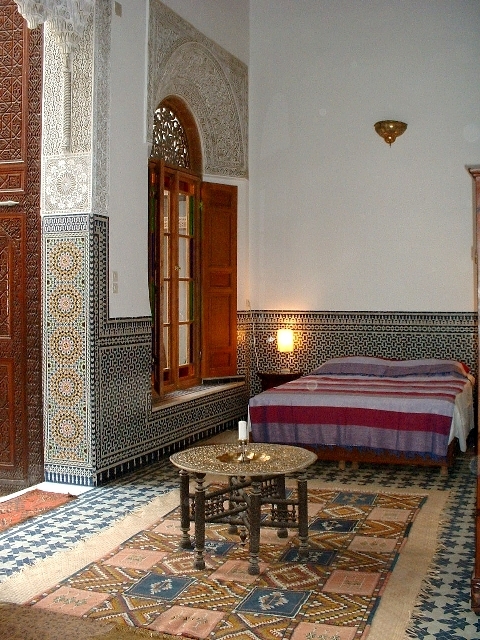 This room is on the top floor, accessed by 3 flights of stairs, with a window overlooking the medina. 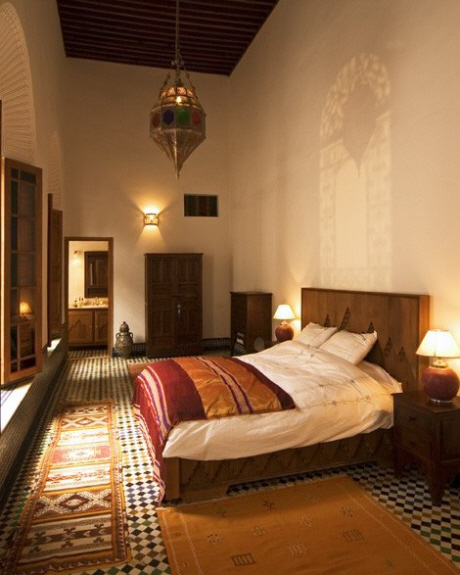 The Qarmousa Suite has a Queen size bed and a single mezzanine bedroom, which for couples serves as a beautiful private reading room. There is an ensuite bathroom with shower only. This is a ground floor Suite with a large window overlooking the central courtyard. There is a €25 euro supplement for a third person per night. 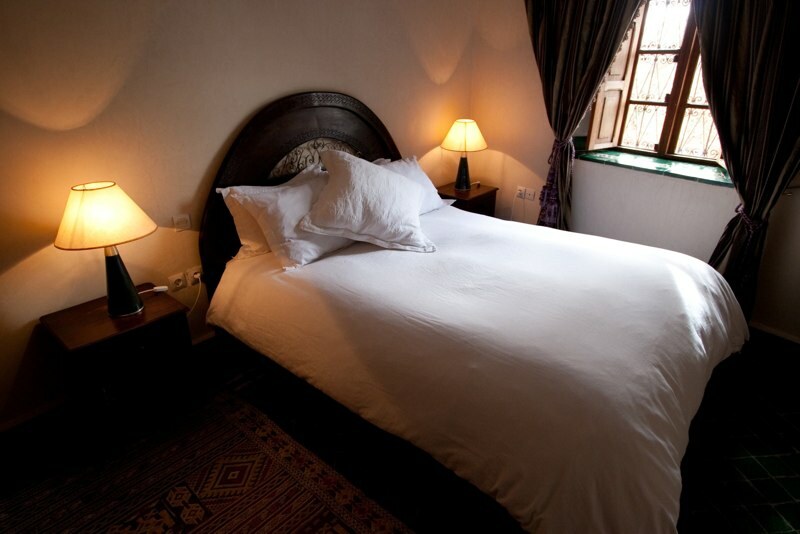 The spacious Roumana Suite has a Queen size bed, comfortable seating area, and ensuite bathroom with separate tiled shower and ball and claw bathtub. 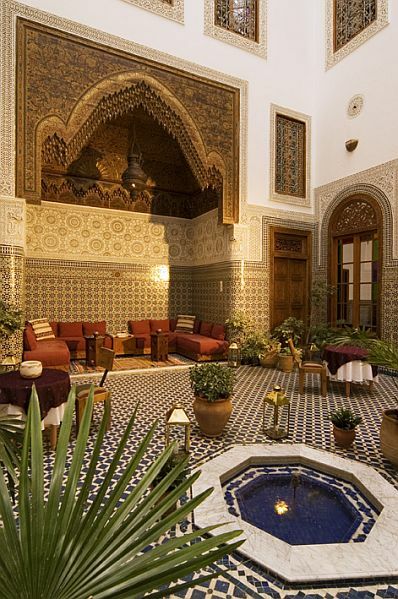 This ground floor Suite opens onto the tiled courtyard and fountain, and remains refreshingly cool even in the height of summer. The spacious Tamarind Suite has a Queen size bed, comfortable seating area, and ensuite bathroom with shower and bath. It is complete with air-conditioning. This first floor Suite receives abundant natural light from the large windows overlooking the central courtyard. 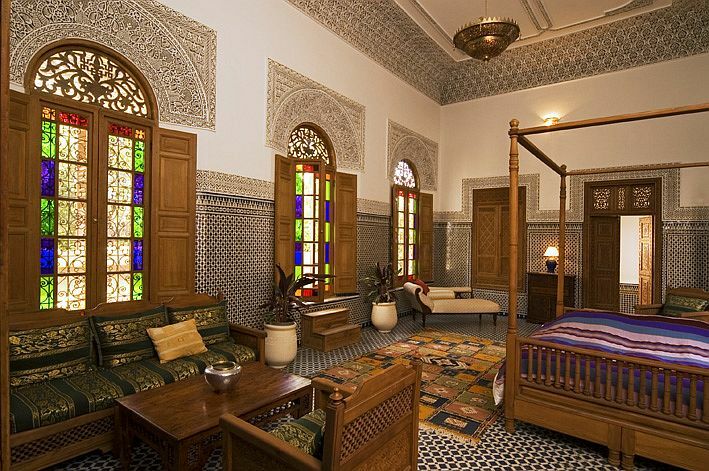 The largest and most ornate, the Yasmina Suite with four-poster Queen size bed, delightful seating area, and ensuite bathroom with shower and bath, also has a private balcony overlooking the medina, where breakfast may be taken. It is complete with air-conditioning. 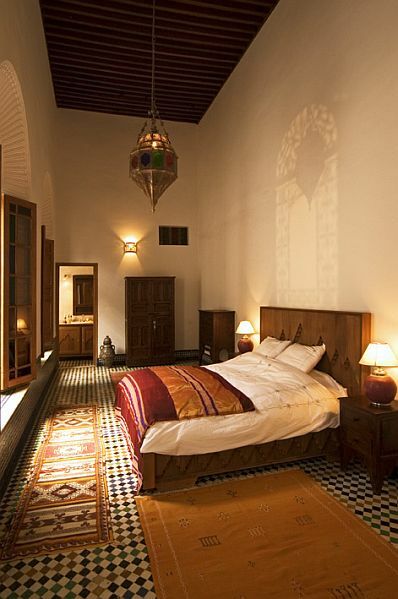 This first floor Suite, has stained glass windows overlooking the central courtyard and the medina. 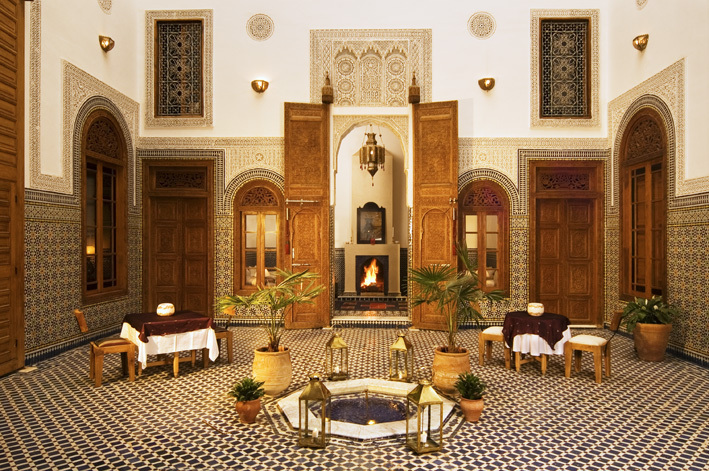 The base rate price at Dar Roumana is in pounds, euros, or Moroccan dirhams and exchange rates are approximate.